RHA is a company I’ve really come to like. 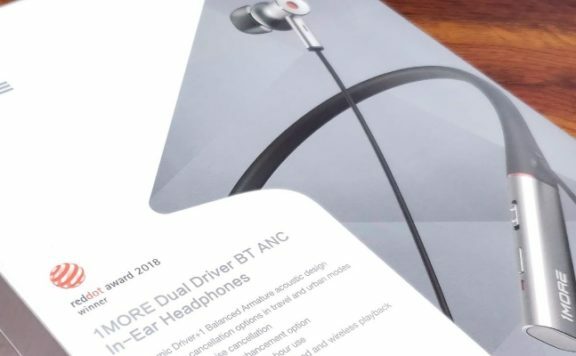 Their headphones have consistently demonstrated a level of quality and superior audio that leaves me recommending those I’ve reviewed to anyone who will listen. 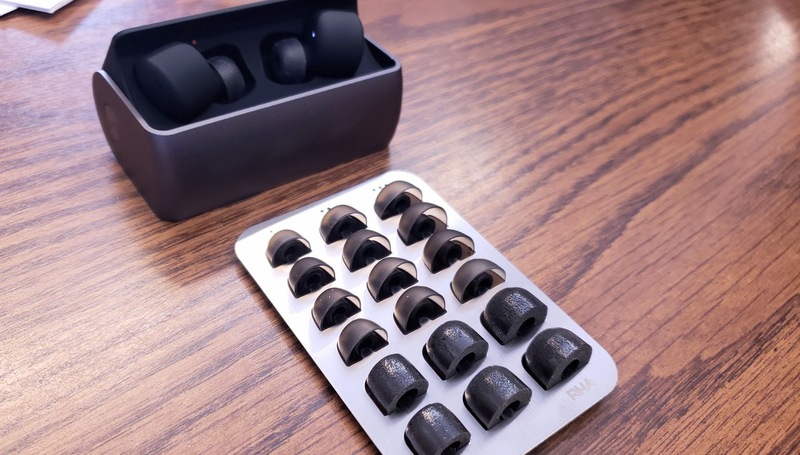 When I saw that they were releasing their own set of true wireless earbuds with the TrueConnect, my ears immediately perked up, but I admit to having a moment’s hesitation. I’d used quite a few pairs of TW headphones since the middle of last year and learned that headsets that aren’t great are often so frustrating that they get put away in a drawer and replaced. Any one of those in isolation can range from annoying to experience-wrecking. Usually there’s more than one and then they’re not worth it at all. So, hopefully you can understand how I approach all true wireless earbuds with curiosity and trepidation. There’s simply more to go wrong and it’s more meaningful when it does. With a company like RHA that I’d had such positive experiences with I was excited that they may have done it right and worried that maybe they hadn’t. 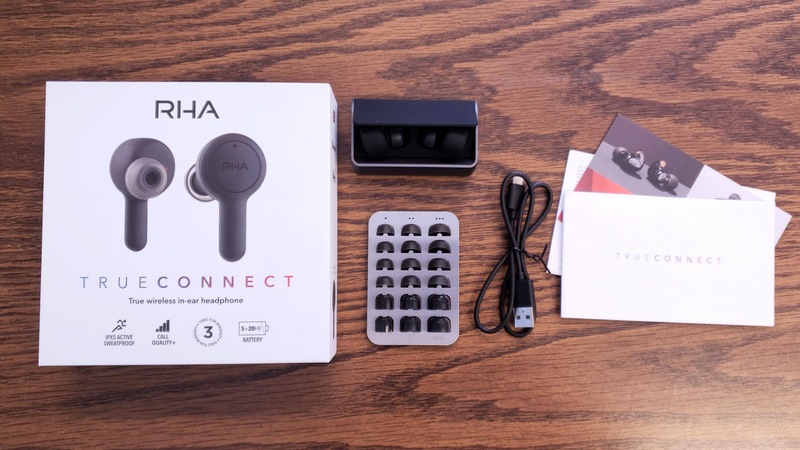 Well, join me in a sigh of relief: RHA has not only avoided the common pitfalls but have delivered one of the best sets of true wireless earbuds on the market today. If you’re currently shopping for your next pair, the TrueConnects should be high up on your list and here’s why. 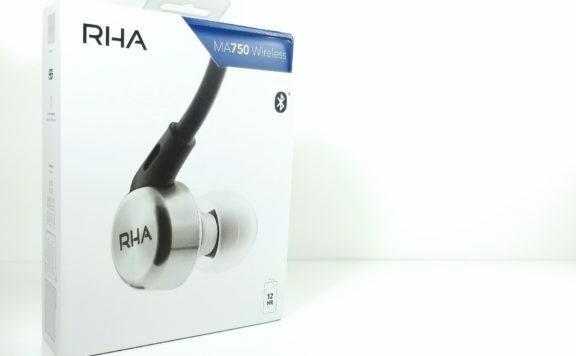 Like all sets of RHA headphones, you get a premium experience right out of the box. 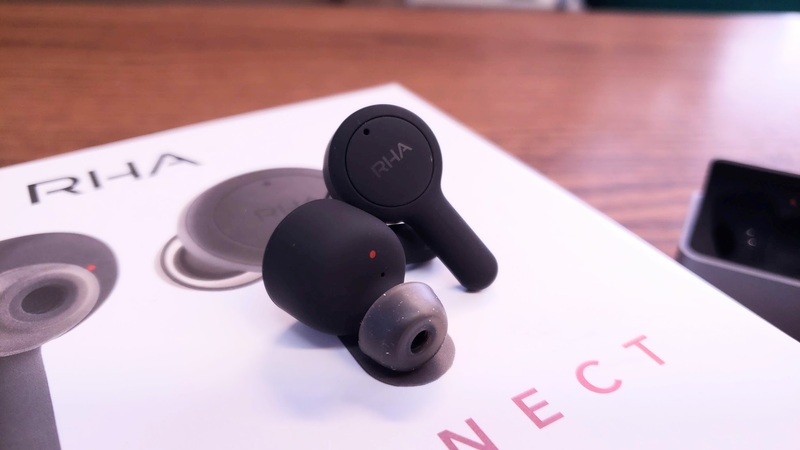 RHA are masters at presentation and the TrueConnect is no exception, though is a bit different from other pairs we’ve looked at. 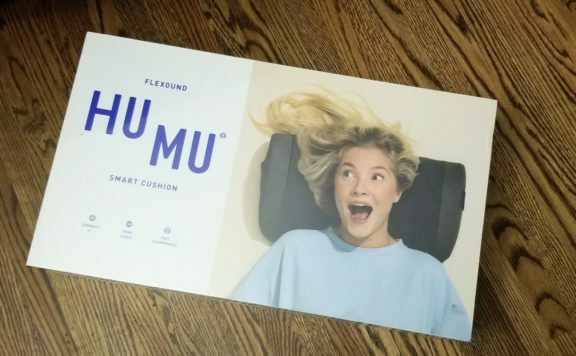 The box features the same large, high resolution photography on the front but rather than open like a book to reveal the headphones, it opens like a gift box. Inside, you’ll find the charging case and earbuds held well presented in secure cutouts within a foam shell. Under this, you’ll find the USB charging cable as well as the usual set of silicone and Comply Foam ear tips. It’s a concise package but more than enough to meet what I would expect from this price point, and the Comply Foam tips are an especially nice touch. I’d like to change up the order from my usual review format and take a closer look at the charging case. It is simply the best I’ve encountered in this space. 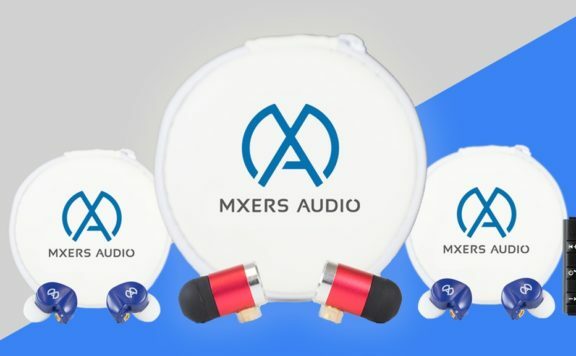 I admit to being a little disappointed when I heard that the TrueConnects would eschew the stainless steel earbud design I so appreciated on the MA-750 Wireless and were instead opting for a lightweight plastic (though, functionally, that change made a lot of sense). I appreciated the stainless steel for its durability compared to the competition. They’ve shifted the focus on the TrueConnects, instead making the charging case completely metal. 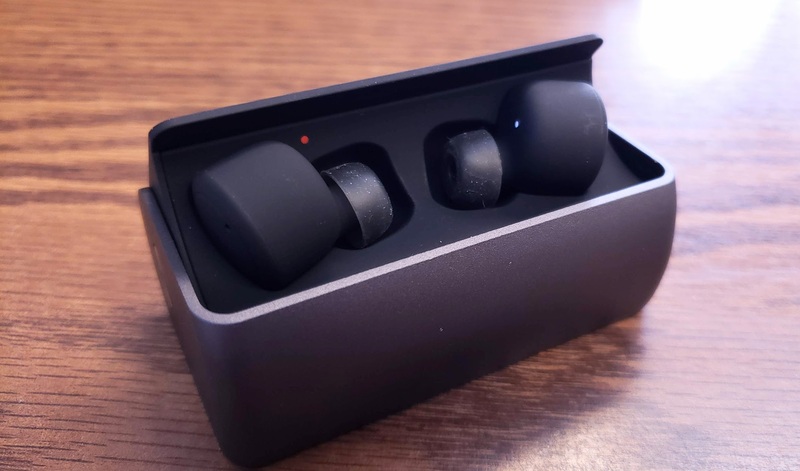 This gives the case an incredibly sturdy design that to keep the earbuds well protected, even through a fall, and really makes it feel quite premium. This is bolstered by the stylish gunmetal grey/black soft-touch finish RHA has applied. I am still a bit worried about the earbuds should they fall out mid-run, but they stick in my ears quite well, so that hasn’t been an issue at all during my test period. The case is also exceptionally well designed. The outer metal ring slides out of place to reveal the earbuds and is tensioned to avoid accidental openings. Inside, the stems of each earbud fit into slots and are kept in place with magnets. It takes holding the case upside down and shaking it vigorously to get an earbud to fall out, which just isn’t going to happen on accident. 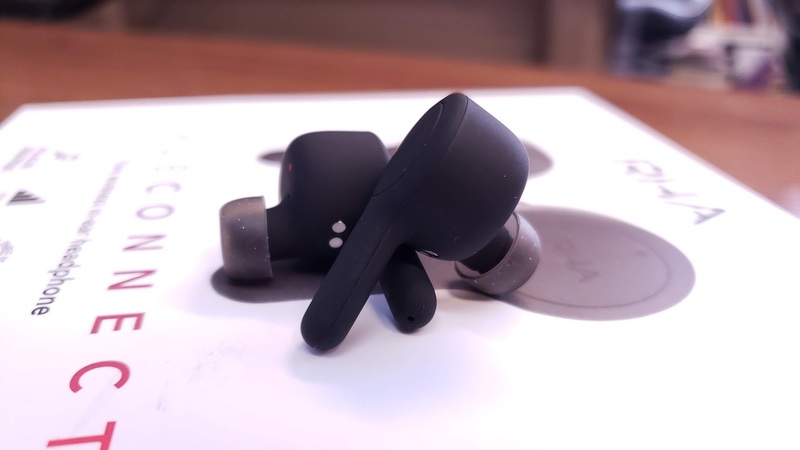 It also means that the earbuds are pulled onto the charging contacts for a solid connection every time which has been a frustration point for me on other true wireless headsets. Battery life on the earbuds is quite good, within reason. True wireless sets retain smaller batteries, so it’s common to see them fall around the four hour mark when brand new. The TrueConnects begin at 5 hours and, also unlike several other headsets I’ve used, this has actually proven to be accurate. They also support fast charging, so just 15 minutes of charge gives you 2.5 hours of play time. The case offers four complete recharges before needing to be recharged itself giving the headphones a total 25 hour use-time. Three indicator lights on the outside make it easy to see how much battery is left. The RHA TrueConnects themselves adopt the same “bud and stem” design as the Apple EarPods, which invites direct comparisons, though has functional benefits that make it a solid design choice. It’s likely that they allow RHA to fit a slightly larger battery, for one, but they also help with wireless reception. One of my pet peeves on other headsets has been losing signal every time my hand comes near the earbud, for example, to adjust it in the ear or scratch the side of your head. Here, you physically have to cup your hand around the earbud to interfere with the signal. This is also supported by the use of the latest Bluetooth 5 version, which improves signal strength as well. There were a couple of rare circumstances where I was outdoors in the snow and abruptly turning my head cause the buds to loose sync momentarily, but the vast majority of the time your normal movements won’t interrupt you and that’s a huge benefit. The RHA TrueConnect headsphones are slightly larger in design but manage to hold firm in both of my ears. I was honestly a bit surprised since my left ear is notoriously difficult to find a good fit with, forcing me to use wing grips which aren’t an option here. Like any set of earbuds, I had tried each set of tips until I found the perfect fit and now I’m able to be out in the yard, play with my kids and dogs, and not worry about losing an earbud. This is one of the reasons I so appreciate the multitude of tips RHA always includes on their premium headphones, as I did have to mix and match small and medium tips to find a pair that was just right for me. These headphones also IPX5 rated, which means they can resist sweat and weather. Specifically, it means they’re capable of resisting splashes of water from any angle. This is a big benefit over the Apple EarPods who don’t offer any kind of liquid resistance, really knocking their usefulness back if you like to run outside or take them hiking. I was also really impressed at how well integrated the controls were. The face of each bud is an easy-to-press button. You can easily control your media, volume, answer and end calls, and even engage voice assistants like Siri or Google Assistant. When it comes to sound, RHA has tried a new approach here. These aren’t an analytical headphones, though do offer excellent clarity. The TrueConnects feature a boosted low end, which is great for songs that emphasize bass. They recess a bit in the mids and then boost up the highs for a bit of upper spectrum clarity. In other words, we have a V-shaped EQ curve here, though I found to be tightly controlled and articulate across multiple genres. The TrueConnects also feature a larger than normal sound stage, which is great for closing your eyes and getting lost in a good mix. One of my favorite things to write to is so-called Chillstep music, so the first song I test with is Wayr’s Follow the Light. The bass pumps and completely fills out the soundscape without drowning out the strings and pulling from their clarity. The next song I tested with was Isla Vista Worship’s Deeper from the Upper Room sessions. Here the stripped back acoustics felt warm and natural. The airiness of the guitar blends with the swelling violin and rising vocal harmonies. Next I picked up Eminem’s collaboration with Rihanna, Monster, and loved how full the thumping bass was while not stomping out either vocalist. Lastly, I had to try out some blistering metal and loaded up Atreyu’s Bleeding Mascara. This song can be hard on headphones due to the machine gunning kick drums but the RHA TrueConnect did very well. This was the only case where I wished the headphones’ bass was just a little bit tighter as they lacked just a little bit of the punch a song like that requires. It still sounded great and the vocals, screams and melody, cut right through. 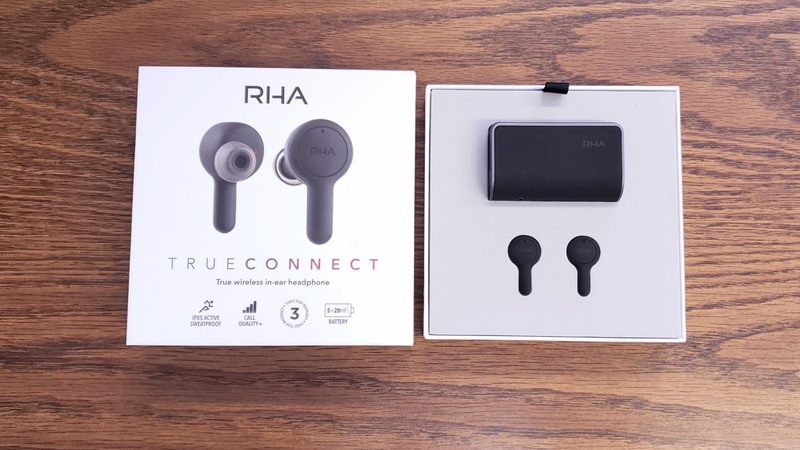 RHA put all of my worries to rest with their TrueConnect. It’s clear that they’ve put a incredible amount of thought and care into their design and are once again placing themselves as a brand to follow in this industry. They sound great, have excellent battery life and reception, and are as fully featured a choice as you’re likely to find. If you’re in the market for true wireless earbuds, these are absolutely a pair you need to consider. 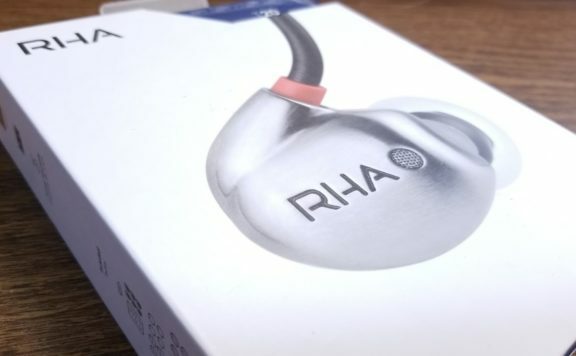 The RHA TrueConnect In-Ear Headphones are some of the best true wireless headphones we've seen. They should definitely be on your shopping list if you're in the market for a new pair of true wireless headphones.